“Has gender equality gone too far in Sweden?” This is one of the most common questions I’ve faced over the last couple of years. In short: No. First of all, “too equal” is a mathematically impossible concept. But put that aside and look at the facts on the ground in female-friendly Scandinavia, where equal pay is still a basic struggle. In Sweden, a woman will earn $450,000 less than a man in her lifetime. Further, recognition of rights and equal political representation is still not in place, anywhere. And in the movie business the celluloid stories are still mostly driven by leading men, while being created and perpetuated by male screenwriters, directors and producers. Gender inequality is obviously a problem and the film industry indeed holds a responsibility. Film influences people, and therefore a conservative film industry will hamper progress. So I, together with WIFT and four cinemas, made a campaign in2013 to spread awareness about female representation in lm. We simply made a logo for the Bechdel Wallace test (saying Approved Bechdel Wallace Test) to identify the films that have at least two named women who speak to each other about something other than a man. A-rated films and simply test is no way the only solution to these challenges but it is a method and eye-opener that illustrates gender norms and structures. 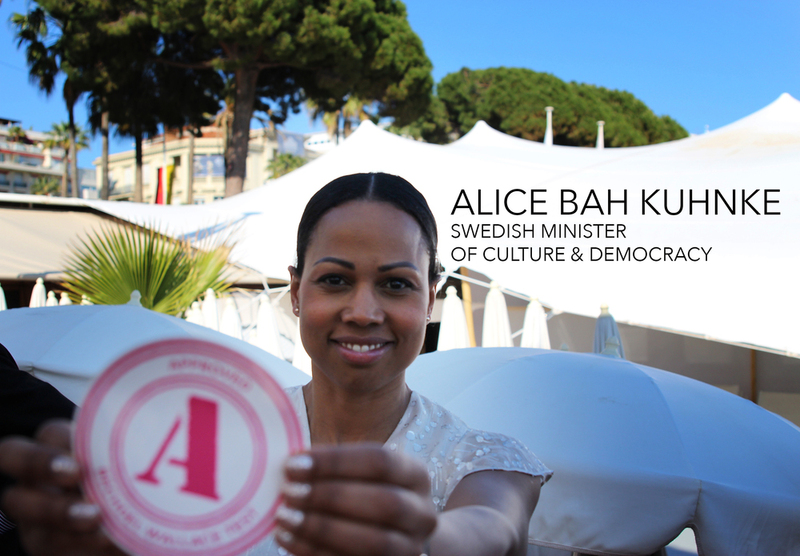 And it has made a great impact already, in Sweden and worldwide. In film there is no absolute measure of quality, so it boils down to the personal tastes of financiers and politicians. And many of the big guns in the Swedish film industry admit to following their gut feeling when deciding about a film, and often never factor in the social norms and structures involved. It’s impossible to solve a problem when you don’t know the problem exists. 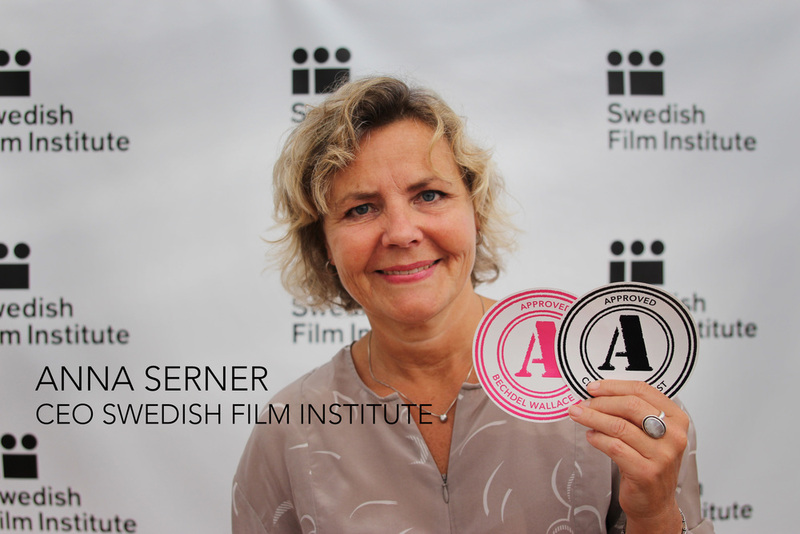 This is the reason why WIFT Sweden is working to expose structural inequality, using hard facts and practical advice to steer the industry in the right direction— equality, in front and behind the camera. The film Industry is not equal, but many of us are working for a positive change. In 1985, the cartoonist Alison Bechdel drew a comic-strip for her series Dykes to Watch Out For in which the ‘two women speaking to each other about something other than men’ criterion appeared in print for the first time. In the 2000s it became known as the Bechdel test, but Bechdel herself has insisted that the correct name is the Bechdel–Wallace test, because it was her friend Liz Wallace who invented it. 1. Are there two named female characters? 3. About something other than men? A test invented by the Swedish author Inti Chavez Perez has proved very useful in measuring diversity, much like a Bechdel–Wallace test but for racism. The criterion is whether a film has two non-white people speaking to each other about something other than a crime. In recent years, the question of whiteness in film has nally been raised in Sweden and internationally. The boycott of 2016’s Academy Awards, spread under the hashtag #OscarsSoWhite, was one campaign of many to highlight the problem of lack of diversity in lm. Study after study shows that the whiteout behind and in front of the camera in Western countries is the rule rather than the exception. Brazil, China, Italy, France, United Kingdom, Canada, USA, Australia, Rumania, Albania, Turkey, Iceland, and at 30 cinemas in Sweden. or work for a movie theater? It’s free and creates conversation for change. Place a sticker on posters of A-rated films. Showcase the logo on your website, next to the A-rated films. Trail the 7 second vignette before the A-rated films start. Is the movie A-rated or not? Your distributor can most likely answer the question. You can watch the movie and decide for yourself. Time to put the Bechdel Wallace and Chavez Perez glasses on! On www.bechdeltest.com one can browse through thousands of different movie titles that are already rated. E-mail ellen@wift.se and she'll add you to relevant Facebook forums. Inform your audience that you’ve started to A-rate your films on your website and cinema/movie theatre. Make it public. There’s a great interest for A-rated films in media! "Swedish cinemas take aim at gender bias with Bechdel test rating"
"Film is bigger and better than the story of men by men"
"Pretty great stuff happened after Swedish theaters introduces a Bechdel rating for its movies"
"Swedish cinemas to stamp out sexism with Bechdel test rating on movies"
"Swedes have broken new ground"
© 2018 A-RATE. ALL RIGHTS RESERVED.